The hit HBO TV series, Game of Thrones is on a roll, breaking one world record after the other. The 5th season of the show has already broken many world records. The season was so popular that it broke it's own piracy world record that it had set in the same season. 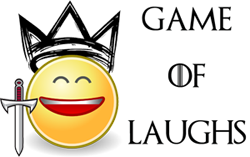 The largest simultaneous broadcast of a TV drama series was achieved by HBO's Game of Thrones, which was simulcast to 173 different countries and territories, starting on 2 a.m. on Monday 20 April 2015 with the second episode of season 5. 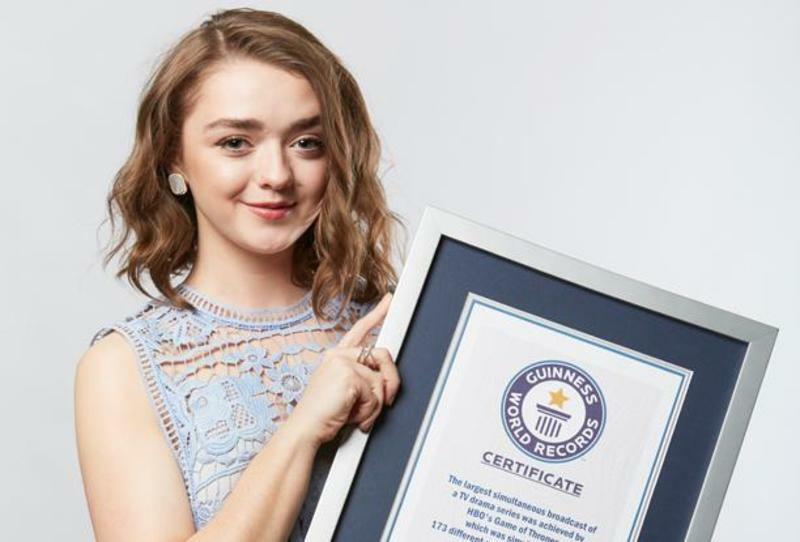 Maisie Williams accepted the world record on behalf of the cast and crew. The show will be featured in 2016 edition of the Guinness World Records which will be released this month. Here is a photo of Maisie Williams with the Guinness World Record 2016 edition which was shared by Entertainment Weekly.